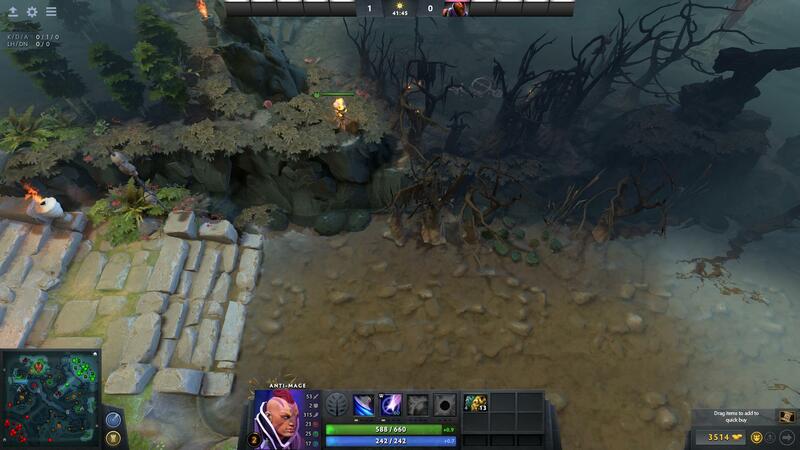 Dota 2 is a complex game that takes years of practice to understand, let alone master. And if there's any topic that confuses newcomers more than anything else, it's warding. Wards are items that provide vision to a wide area, allowing you and your team to keep watch over areas of the map and spy on the enemy team. They come in two flavors, Observer Wards and Sentry Wards, each providing their own advantages. They're simple to use, but difficult to properly utilize. Warding is an integral part to winning in Dota 2. Knowing where to place your wards and de-warding the enemies' wards are common tactics that players, particularly those that play support, should know. That does not mean that wards are relegated solely to the support role, as mid and offlaners should themselves use wards to set up ambushes and to block enemy jungle camps. Observer Wards are items purchased at the Main Shop that create an invisible ward that provides a large sight range. Unlike Sentry Wards, Observer Wards do not provide True Sight, meaning invisible enemies can travel right under their path undetected. Two Observer Wards are purchasable at the start of the game, with more becoming slowly available as time goes on. Sentry Wards are items purchasable at the Main Shop that create an invisible ward that only provides temporary natural vision, but are capable of detecting enemy units with True Sight. Their primary use, however, is to detect enemy wards so that they can be destroyed, making them pivotal items in your efforts to de-ward the enemy. 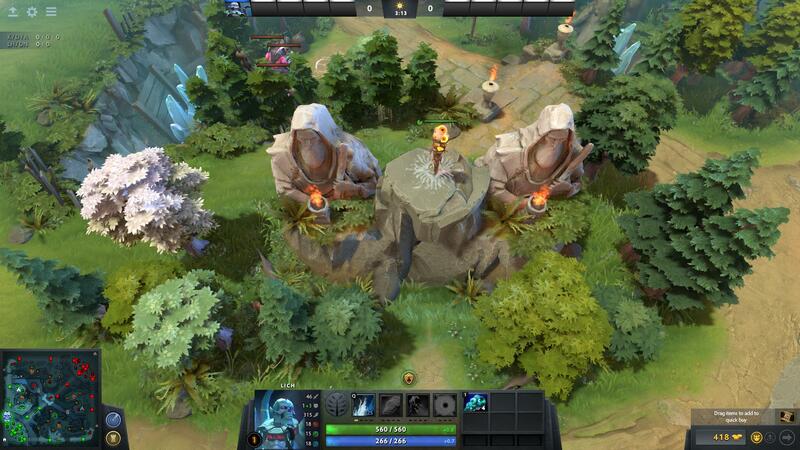 In an effort to help new players learn how to properly ward, Valve introduced Ward Hills to the game. These hills are scattered throughout the Radiant and Dire jungle and are primarily identified by the eye symbol located on top. They existed before 7.00, but their positions have shifted with the new update, changing what they provide vision of as well. If you're new to warding, ward hills are a solid marker that can be used to maximize the effect of wards. That said, they are also the most common locations for opponents to de-ward, so try not to rely on them too much. 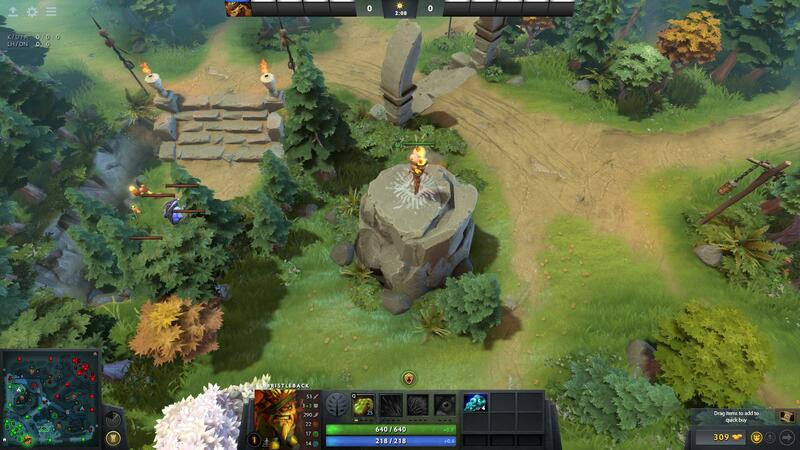 The first ward hill, located in the secondary radiant jungle, provides vision of the Radiant's Secret Shop, the new shrine, as well as the lane near the offlane T1 tower. 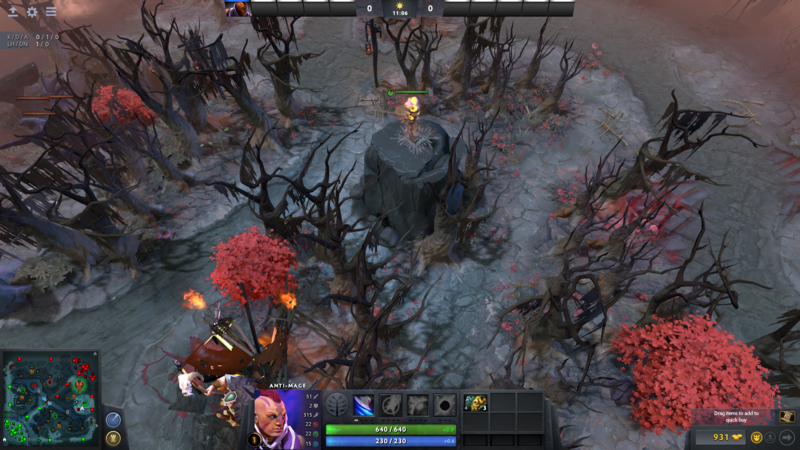 Located just to the south of the offlane T2 tower, this ward hill provides vision of the left most Radiant camp, the nearby rune spot and the jungle next to the T2 mid tower. Moving to the Radiant's primary jungle, the left most ward hill continues to grant vision to the two camps on the left along with the camp to the right of the ward hill. Moving east, the newest ward hill for Radiant provides vision over the southern rune spot and the new shrine. Moving back to the secondary jungle, the Radiant's last ward hill grants vision over both neutral camps, the two rune spots and the entrance to Roshan's pit. 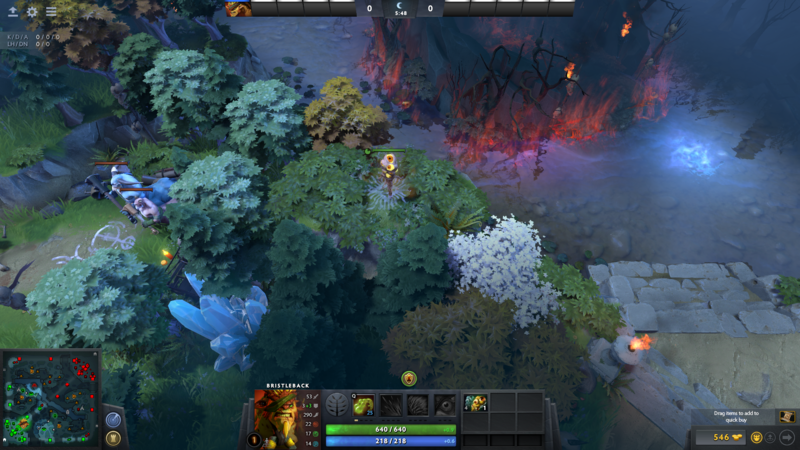 Starting in the Dire's secondary jungle, the ward hill close to the offlane T1 tower grants vision of the Secret Shop, the new shrine and the neutral camp. The second ward hill in the secondary jungle, located near the offlane T2 tower, provides vision of the nearby neutral camp as well as some of the jungle. None of the secondary jungle ward hills for Dire grant vision of that jungle's rune spot. 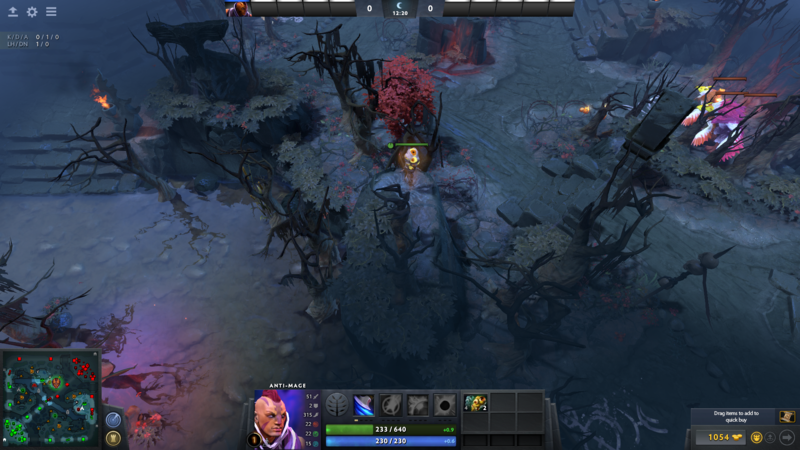 In the Dire primary jungle, the ward hill closest to the Roshan pit only provides some vision of the pit itself, but provides much better coverage of the stairs north of the pit, the northern river rune and two neutral camps to the north. The final Dire ward hill is unchanged from pre-7.00, providing vision of the neutral camp to the south in addition of much of the Dire jungle. While ward hills are great for newcomers, they are not the be-all-end-all of warding. 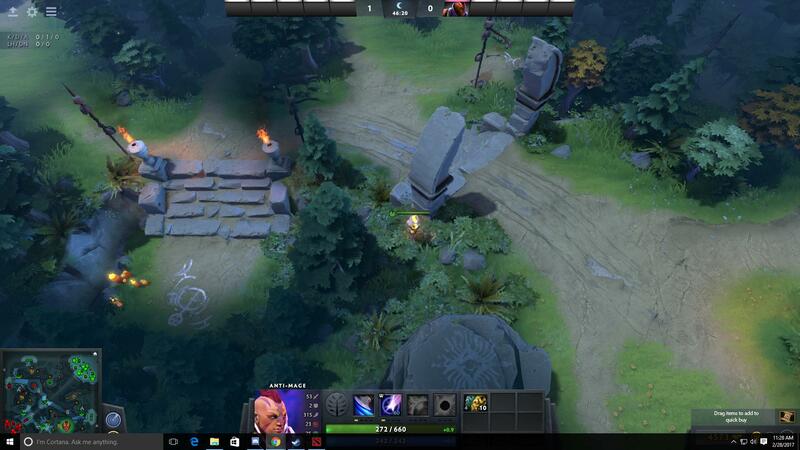 Wards can be placed anywhere on the map, resulting in a huge number of ward spots to keep track of and utilize. Is there anything blocking the ward's vision? How much vision does this ward provide? Does the ward's vision cover important objectives, such as Shrines, runes or camps? Is the ward in an obvious location for enemies to de-ward? Of course, not every ward needs to cover an objective in order for it to be useful. Take the ward placed below, which covers the river entrance near the Radiant's offlane T1 tower. 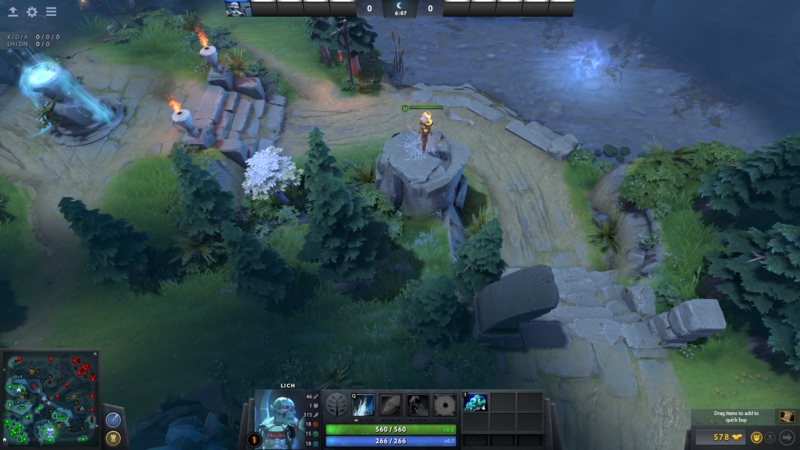 While this ward does not cover an objective, it does provide extensive vision of the river, allowing you to see roaming supports and other heroes looking to enter the lane. For the Dire, it is easy to place without being detected, and serves as a valuable location in defending against early game aggression. But warding should also not be used solely as a defense mechanism. 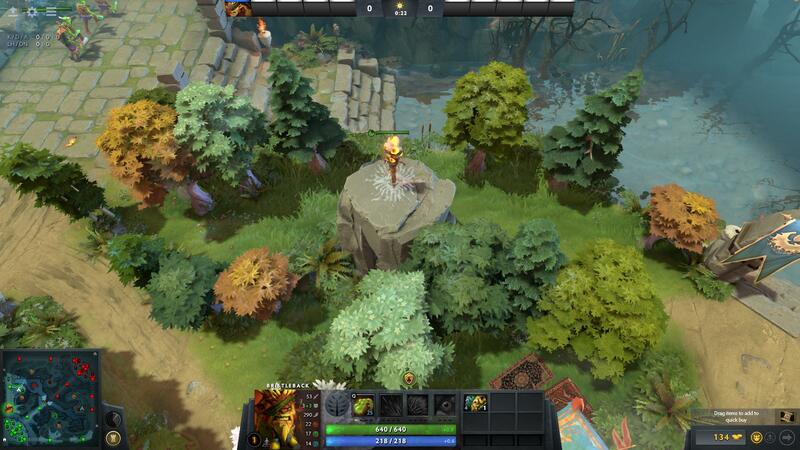 In the image below, the Dire observer ward is placed deep in the Radiant primary jungle, where it oversees two neutral camps. 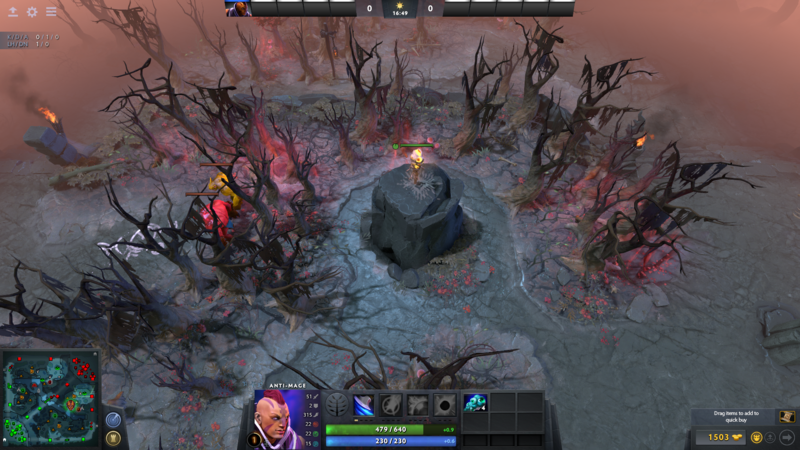 In this location, the ward will allow your team to keep track of any hero that is attempting to take the two camps for farm. As a late game ward, it will also keep track of any heroes that attempt to skirt around the mid lane to fight in the jungle. With new map changes comes a new Roshan spot, and with a new Roshan spot comes new ways to ward it. 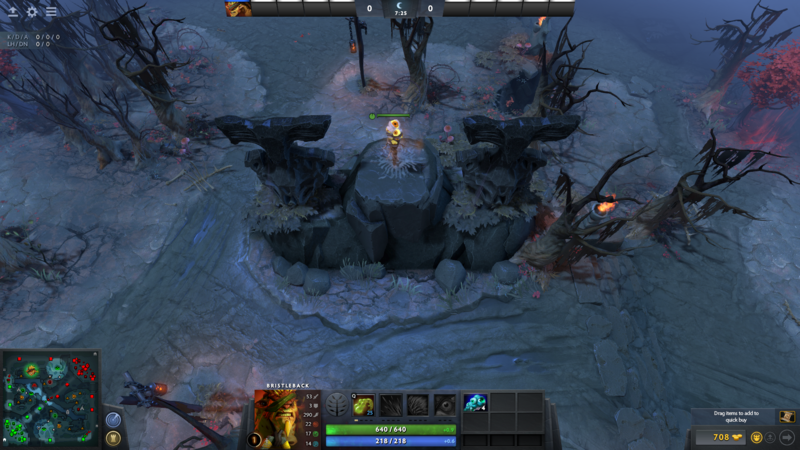 Two ward hills, one in the Radiant jungle and the other in the Dire jungle, provide adequate vision of Roshan's pit, but there are other spots that provide better vision that are not located in as obvious positions. While the nearby Radiant Ward Hill does provide vision of the river rune, placing a ward in this location provides a much better view of the entrance to the pit itself, allowing you to see the enemy approaching it from a fair distance away. A much better location to ward Roshan is on the Dire side, just behind the pillar north of the stairs near Roshan. It has clear views of the pit and the rune spawn, and is not a place that is normally checked when the enemy team de-wards around the pit.